What they promise: A true elixir of femininity, this perfume blends the delicacy of peonies with the sensuality of magnolias, in a captivating floral fragrance marked with a woody trail. The Pivoine Flora Eau de Parfum contains a peony extract harvested from the Drôme region of southern France. A lot of ingredients were used to make this fragrance. The note heads in with bergamot, which is blended with sparkling grapefruit. Middle notes of the fragrance are a combination of pivoine, magnolia and violet with base notes of vanilla, cedar and musk. What does all of that mean? 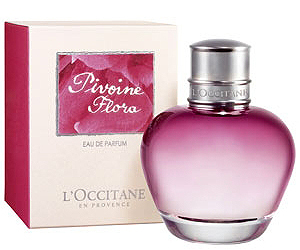 L’Occitane’s new fragrance, Pivoine Flora Eau de Parfum ($65), is perfect scent for spring. Its flowery scent is light and fresh, which also means its headache-free (no need to worry about it being too strong!) Although the bottle is quite small (50ml), it will last you throughout the day so you’ll get your money’s worth.